No consumer has reported an allergic reaction to date. No other NadaMoo! products or flavors are recalled. NadaMoo! 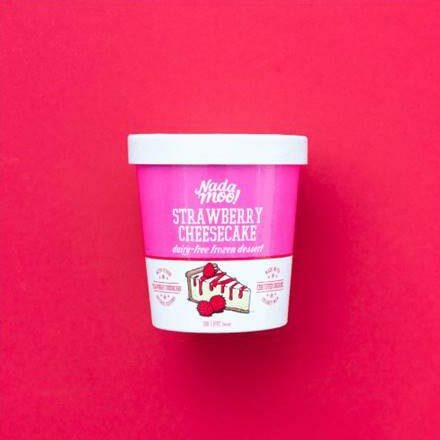 wants to reassure customers that Strawberry Cheesecake pints not labeled with the expiration date listed above are not affected by the recall and therefore can be fully enjoyed rather than discarded. The recall was initiated as soon as it was discovered that the pie crust inclusions in the Strawberry Cheesecake product containing almond flour as an ingredient was inadvertently filled into packaging that did not declare that ingredient, potentially exposing consumers to an undeclared allergen. NadaMoo! has informed the Food and Drugs Administration (FDA) of our actions. Consumers with the product noted above can return the product to the retailer they purchased it from for a refund or contact NadaMoo!